The war rages on. Love it or hate it, Flash is here to stay. It’s been six years since the announcement of HTML5 and yet the HTML5 vs. Flash debate is still going strong. Despite the web design trends in 2013 seeing a massive uptake of HTML5 and CSS3, we’ve also seen an increase of Flash requests recently for banners, games, Facebook apps and animations. 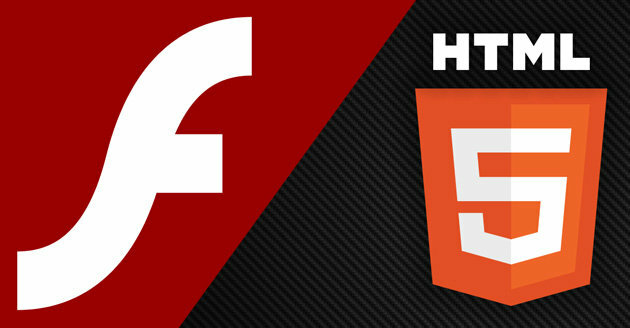 Flash simply fulfils some of the needs that HTML5 currently can’t meet. 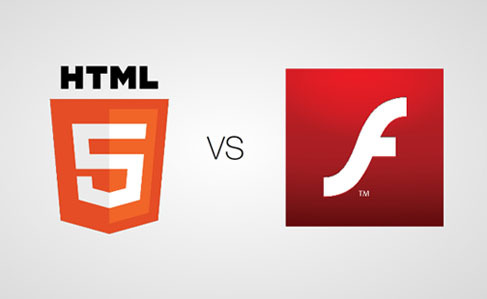 HTML5 is great for some websites and has some brilliant features but it is currently only supported by 40% or web browsers, compared to 99% for Flash. Flash certainly has had a head start over HTML5. Although Flash doesn’t work on many popular mobile devices like the iPhone, Adobe continues to publish and release new features for Flash, but focus on games and video, and on fewer platforms. Whatever it’s future, Flash will be around for a long time to come, maybe just with a different focus on it uses. Check out some of our previous projects built using Flash. We’ve got years of experience building Flash banners and games in Actionscript 2 & 3. If you’re looking for a Flash or HTML5 developer, get in touch. UPDATE: Adobe reveals the future of Flash, codenamed Hellcat.